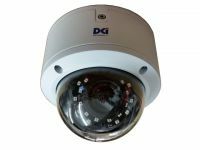 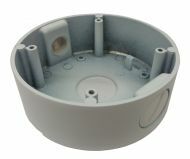 Extended Base for Gray Fixed Lens Domes Conceals cable connections, includes conduit knockouts. 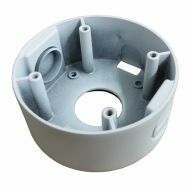 Extended Base for White Fixed Lens Domes Conceals cable connections, includes conduit knockouts. 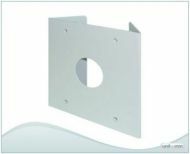 Features Metal Housing Mount for HUS-505 Cable through Management Maximum Load: 15 lbs. 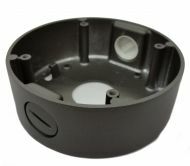 360° Pan Angle 90° Tilt Angle 8-Inch Length Weight: 2 lbs. 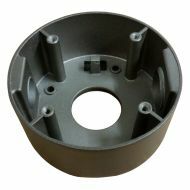 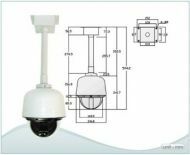 Features Metal Housing Mount for HUS-605 / 605 HB Maximum Load: 15 lbs. 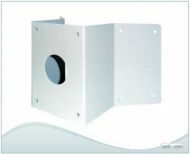 360° Pan Angle 90° Tilt Angle 10-Inch Length Weight: 2 lbs.